The calcium carbide prices in 2018 were higher than those in 2017. The average price increased more than 15% Y-O-Y, and the increase was mainly driven by the fine fundamentals. On the one hand, the PVC prices were high and brought fine margins to producers so the operating rates at PVC producers kept high, supporting the demand for calcium carbide. On the other hand, there’s no new capacity at calcium carbide producers, and the existing units often ran abnormally. So the supply didn’t increase obviously. The unbalanced supply-demand situation resulted in calcium carbide prices’ frequent fluctuations at high levels, and the fluctuations were limited within a tiny range. The environment protection policies were constantly restricted in 2018, affecting both the calcium carbide industry and its feedstock. The downstream new capacity was put in use gradually, but the new capacity in calcium carbide industry was quite limited. The market was tight supplied. Will the tightness in supply last long next year? Will the environment protection policies bring new effects to calcium carbide and its upstream and downstream industries? Could the calcium carbide prices increase to new highs? Will the market conditions for producers been improved? This report is based on the first-hand data of 14 years of investigation from SCI, the authoritative data published by National Bureau of Statistics, General Administration of Customs, National Development and Reform Commission and etc., and the industry data from domestic major suppliers, traders and downstream factories. Senior industry experts will make detailed review of China’s calcium carbide market in 2018 and forecast the calcium carbide market using scientific analysis and data model. 1. Report presents supply, capacity expansion, export, etc. of calcium carbide industry in the past 5 years, helping you to review the changes in the industry. 2. Report includes development process of upstream and downstream integration projects at China’s calcium carbide producers, helping you to clear the status of China’s producers. 3. 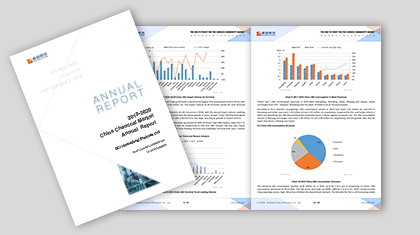 Report analyses the effect to the industry from environment protection policies and other policies, helping you to understand the background of the calcium carbide industry through a macro view. 4. Report gives out the running status of both upstream and downstream producers and their effect to the calcium carbide industry, helping you to understand the total industry chain. 5. Report analyzes the driven factors of prices from multiple perspectives, and analyzes conduction mode of the value chain in the calcium carbide industry objectively.